There comes a time for most entrepreneurs when you need to think about raising capital for your startup – selling equity in the business or obtaining a debt loan – to finance growth initiatives. When you hit the fundraising trail, whether you’re seeking a traditional, commercial or small business loan, you’ll need the right documents investors want to see that show you are prepared and accurately managing your business finances. Generally speaking, traditional debt investors will focus more heavily on the historical financials and data while equity providers will require more detail around your idea and its future potential. Revenue based financing companies like Lighter Capital fall somewhere in the middle – they definitely want to see that you have strong historical financials, solid growth projections and a clear use for the funds, but they are less concerned about your strategy to rule the world. So, what startup fundraising documents do investors want to see from entrepreneurs? Below is a document checklist to get you started. Historic financials, at the minimum quarterly financials for the last 12 months. Any institutional lending source will require that you produce monthly financials, so getting this ready will serve you down the line. Growth projections, along with the financial models used to create those projections. A three-sentence description of the company. Five bullet points with your best five growth metrics that show great traction, great customers, great existing investors, or whatever it is that’s going to make your company look good. An investor deck — not too long, but it should give a decent idea of the business; keep it under 15 slides (you can always have an appendix if you think something is really needed). The current standard of excellence is to hire an outside design firm that specializes in designing pitch decks. Backup information slides with one slide for each major question you think you’ll get. A good product demo — the most compelling way to communicate what you are trying to achieve. Financial projections — a full model is best. Legal documents. Retain a great lawyer to ensure you have your legal house in order. Don’t track your financials in Excel. Entering your numbers in a spreadsheet raises questions about their accuracy. 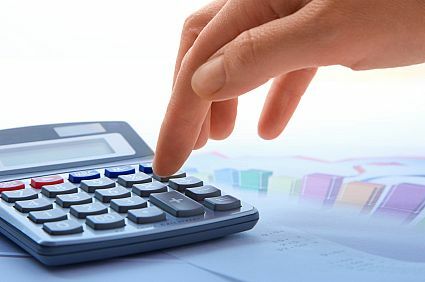 At the very least, you should be using one of the best small business accounting software options, such as Quickbooks, Xero or another service that’s synced with your business accounts. Understand what your numbers mean. If you present your financials to investors with the wrong conclusions, they will doubt how business savvy you are. Make sure your financials match your investment roadmap. As we discussed earlier, make sure you can connect the dots. When you’re approaching a debt lender for a loan, for example, make sure you know what your burn is. If you seek a $160K loan and you’re burning through $40K a month, you will use up the investment in 4 months, which is not appealing to most debt lenders. If your financials show a high burn rate, it will limit your financing options. Have a professional look over your financials. The easiest way to determine if your financials are ready to be seen by an outside financing source is to have someone with an accounting background take a look at them. Ask your tax accountant to review them. They’ll let you know if you are doing anything blatantly wrong and may even save your business money in the long run. If you run into bigger issues, you might want to consider getting outside help from a firm that specializes in helping startups with all aspects of their financials. No unsigned contracts. It may seem obvious, but we sometimes see contracts that have not been signed by both parties. Make sure your references are actually good. You may think your customers are delighted with your product, but before your use them as a reference, it’s best to check that they will wholeheartedly endorse you in the way it matters—they should not hesitate about whether or not they’ll renew their subscription when asked by a lender or investor. Sweat the details. Finally, make sure that you take care of the little details that matter, like making sure your company is in good standing and filing your tax returns.